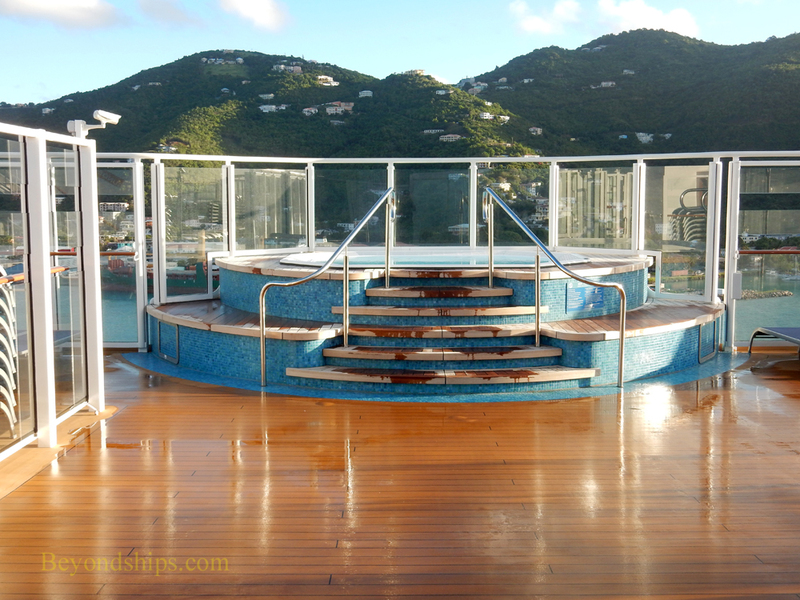 The Mandara Spa covers portions of Decks 15 and 16. 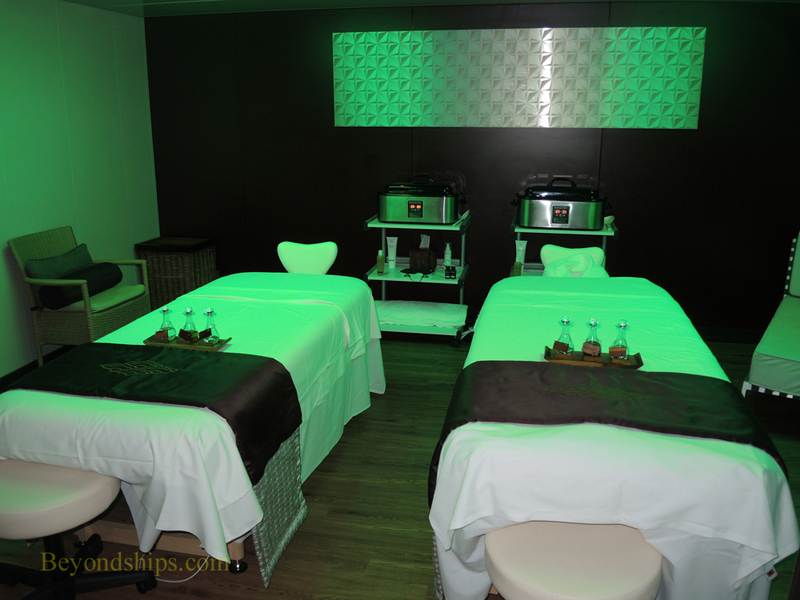 It offers a wide variety of massages and other treatments for individuals and for couples. 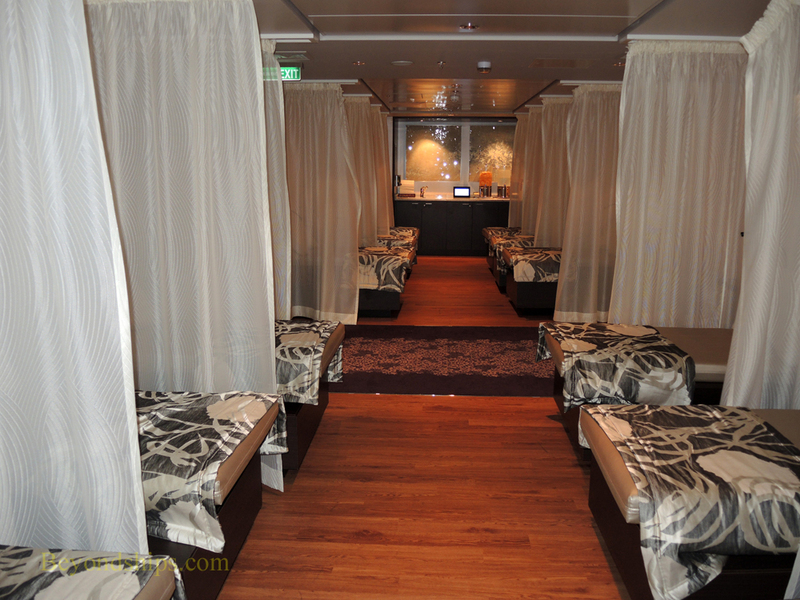 (See spa handout from one cruise on our daily programs page). 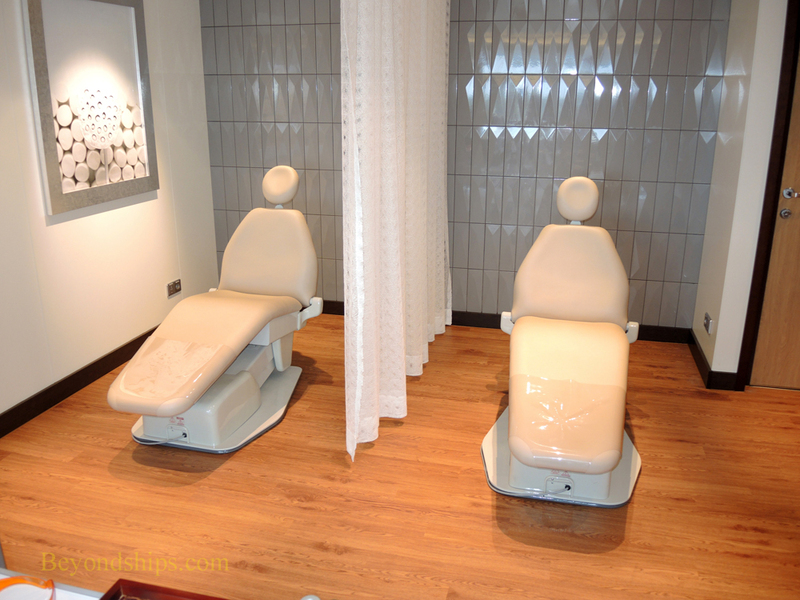 Above: A couples treatment room. 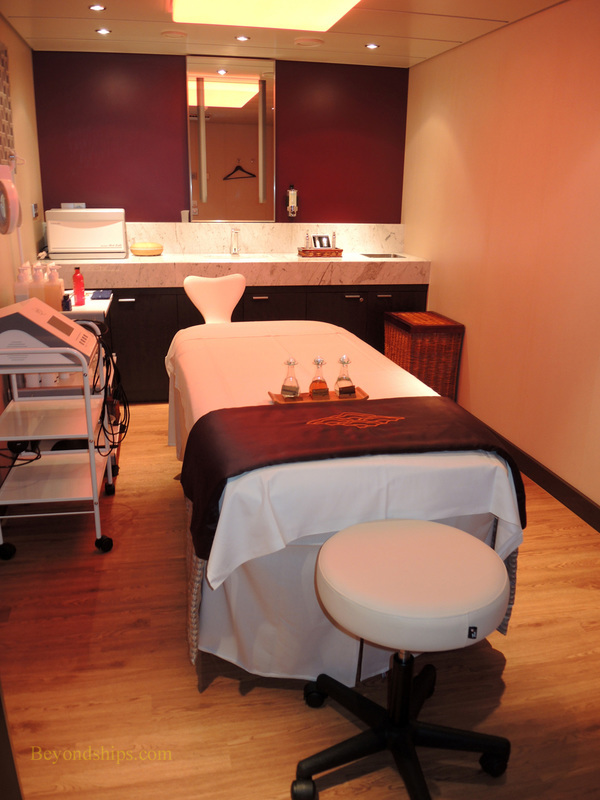 Left: The relaxation room where guests can unwind before or after a treatment. 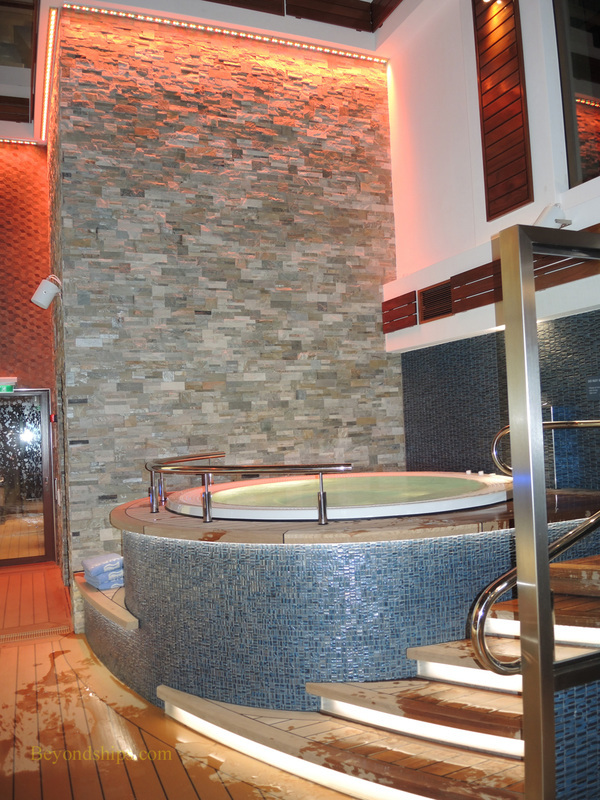 The Spa's large thermal suite includes the Vitality Pool (above) as well as heated ceramic chairs (right). 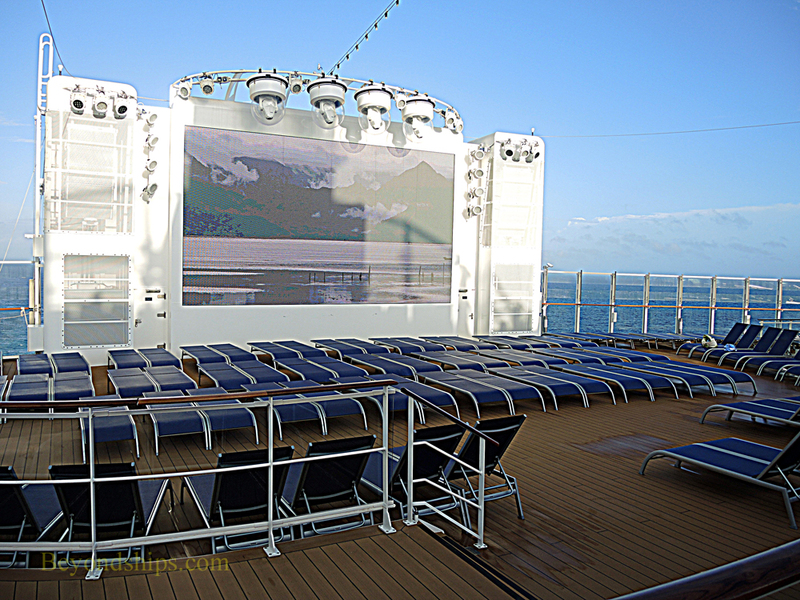 The chairs look out over the bow of the ship. 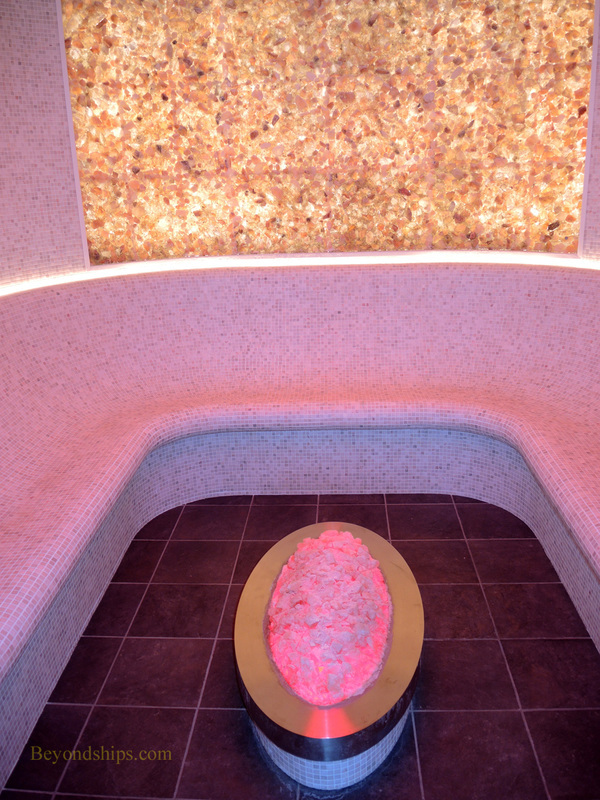 In addition to traditional steam rooms and saunas, Escape has a Salt Room (above). Salt is reputedly good for the respiratory system and for skin ailments. 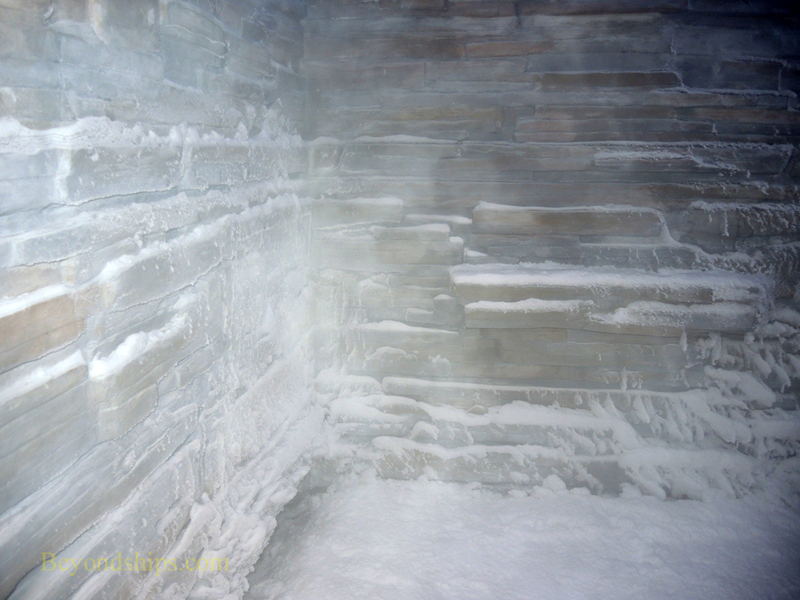 Escape also has a Snow Room, a frosty environment that supposedly stimulates blood circulation (above right). Considering that during the winter more than a few guests will be taking Escape to flee from the snow, this room would also serve as as a reminder of what they are missing at home. 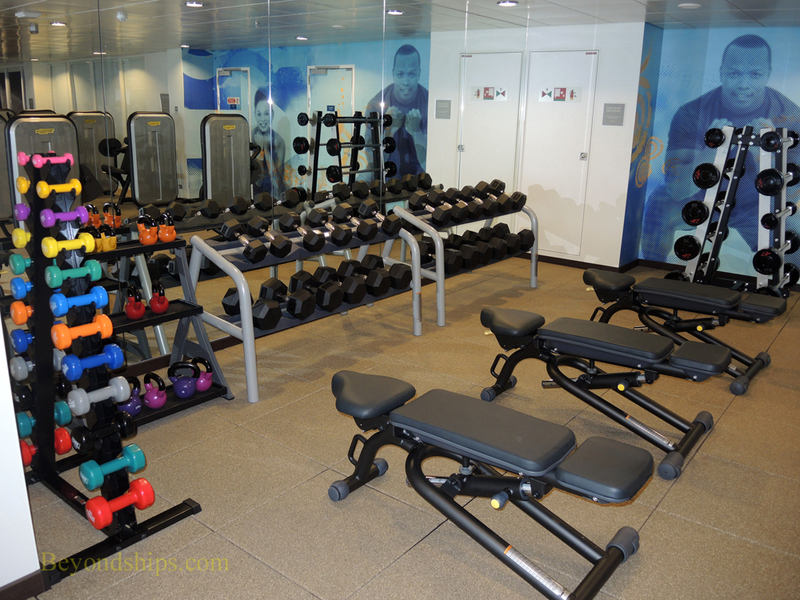 Part of the spa complex is the fitness center. 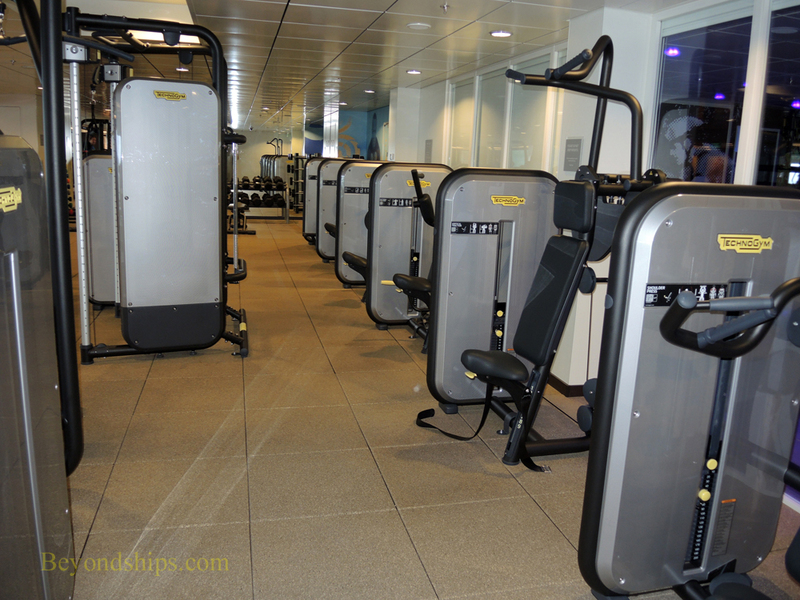 It has cardio and resistance machines as well as free weights. 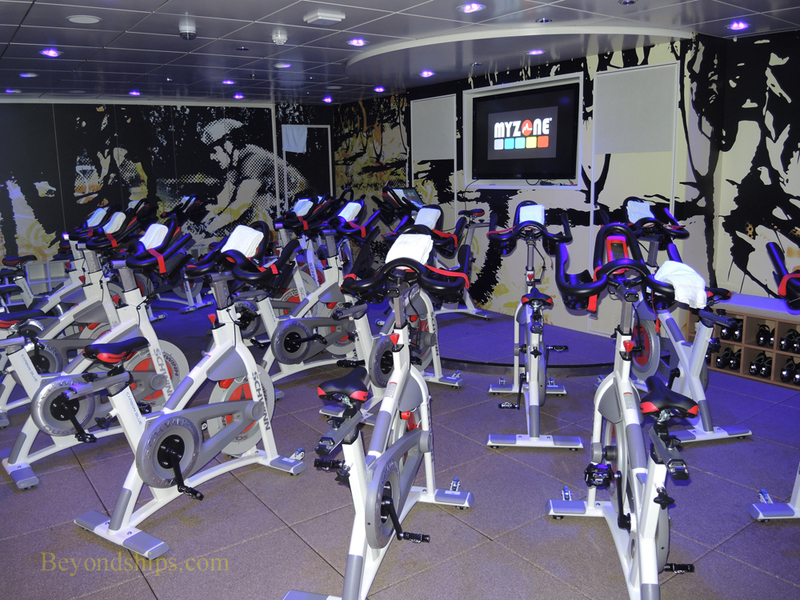 There is also a room for spinning and other exercise classes. 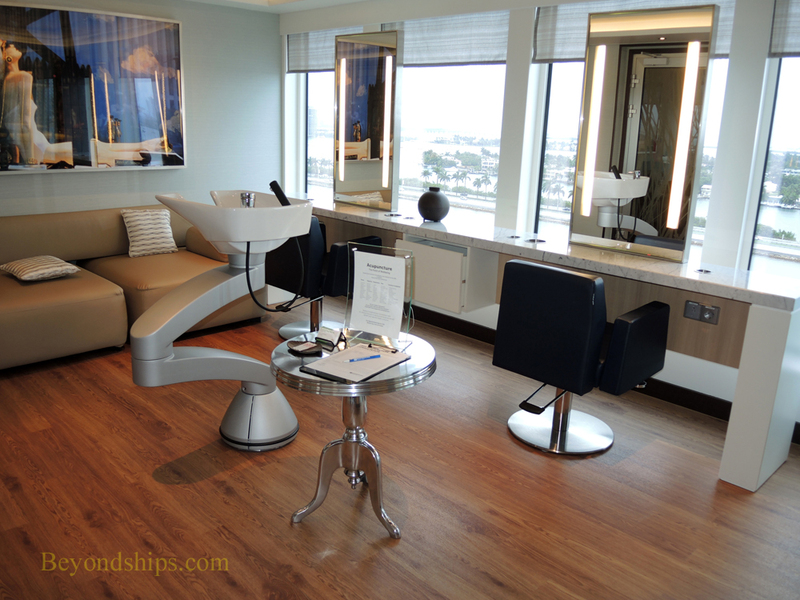 The spa also encompasses a salon and a barber shop. 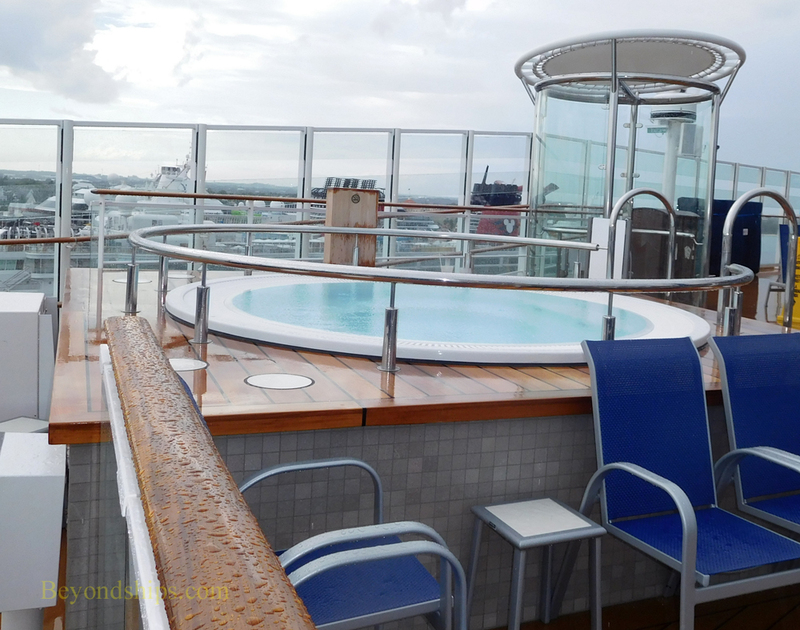 Norwegian Escape has a large expanse of open deck. Much of this area is general access but there are also specialized sections. 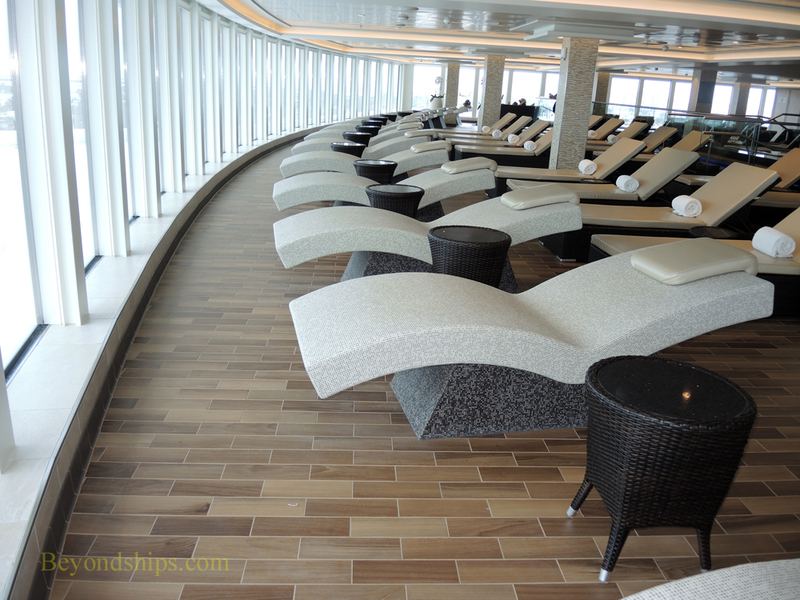 Below left: General access loungers on Deck 17. 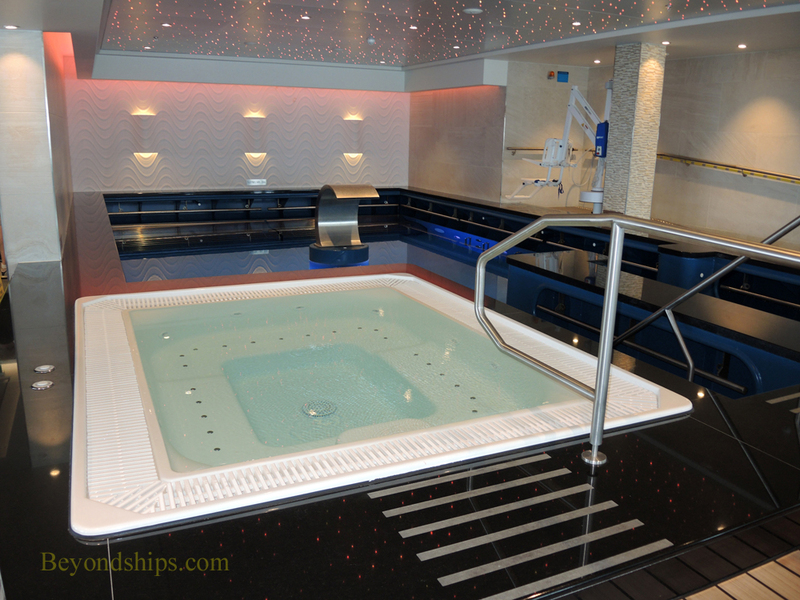 Below right: A hot tub in the general access portion of Deck 19. Aft on Deck 17 is Spice H2O. 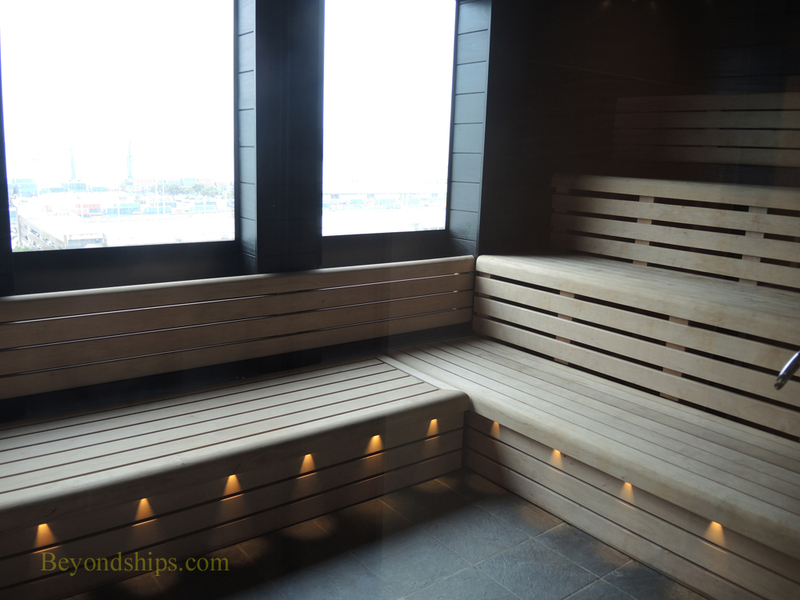 During the day, this is an adults-only area with sun loungers, hot tubs, a bar, and a giant LED screen. 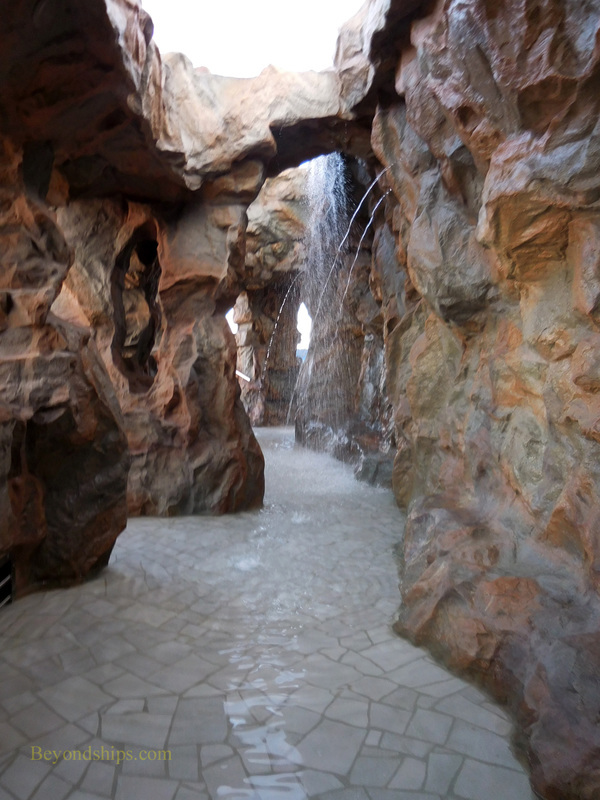 It also has a water feature that has been decorated to look like a rocky cave. 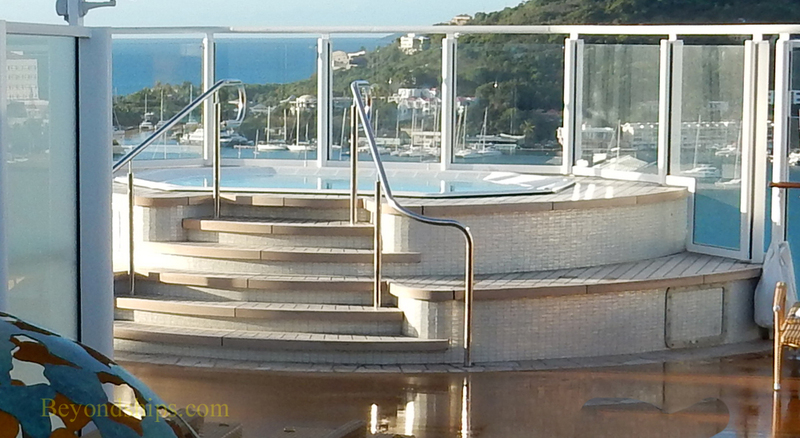 Guests seeking a more secluded deck experience can pay a fee to enter the Vibe Beach Club, forward on Deck 19. 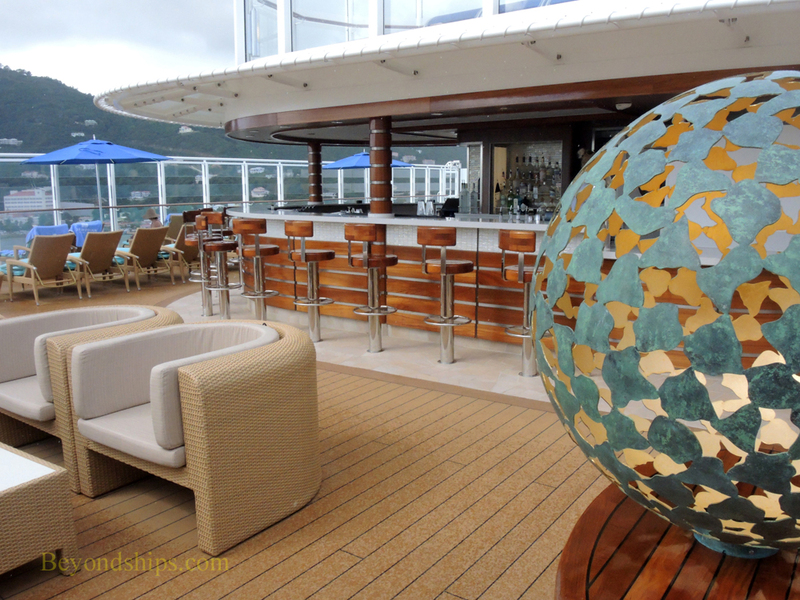 It has its own bar, a hot tub, loungers and dedicated deck stewards. 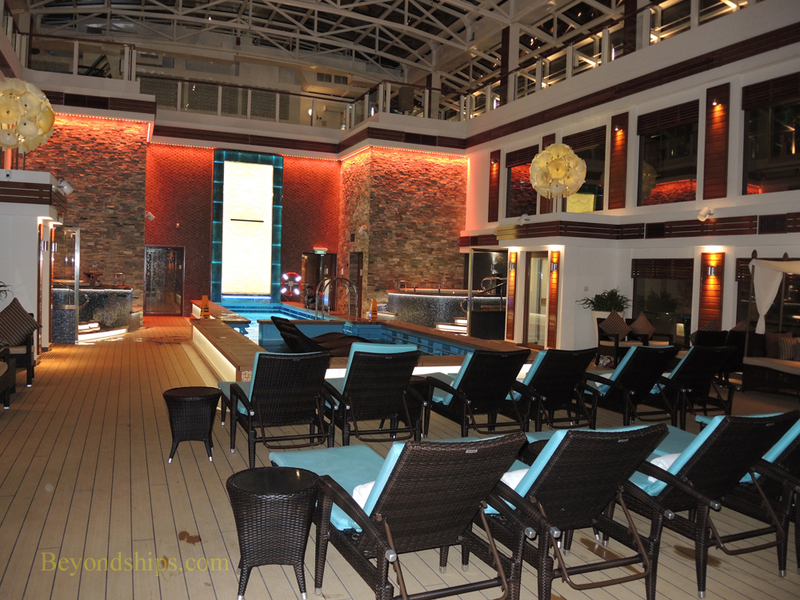 Guests staying in the Haven have access to the Haven Courtyard, which has its own small pool and hot tubs. 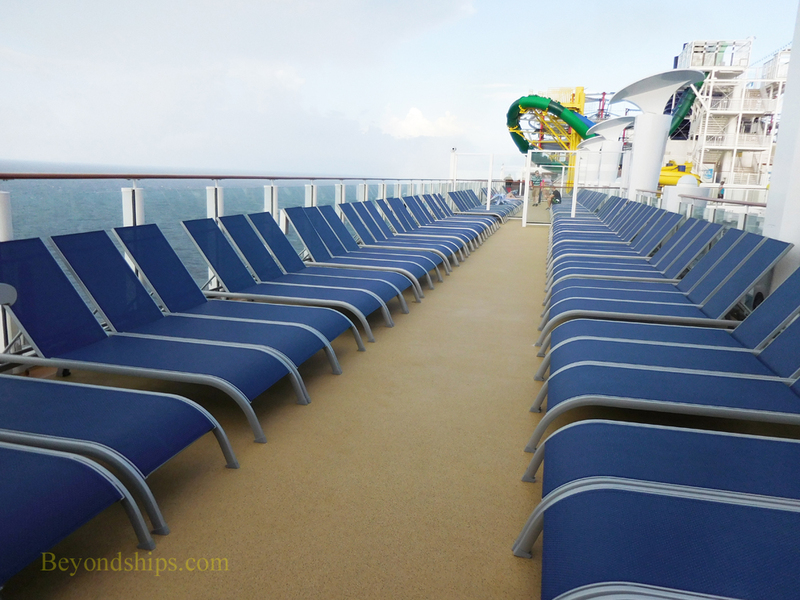 There is also an outdoor sun deck area exclusively for Haven guests.